Jenny Lawson is someone I admire greatly. This book is a collection of essays, and it made me laugh at a time when laughter was hard to come by. You see, Jenny Lawson is open about her struggles with Mental Illness. She is not ashamed of how her brain works, or malfunctions, and from her I learned that it is okay to struggle, but it is even better to fight. This was a more personal undertaking than her first book Let’s Pretend this Never Happened. 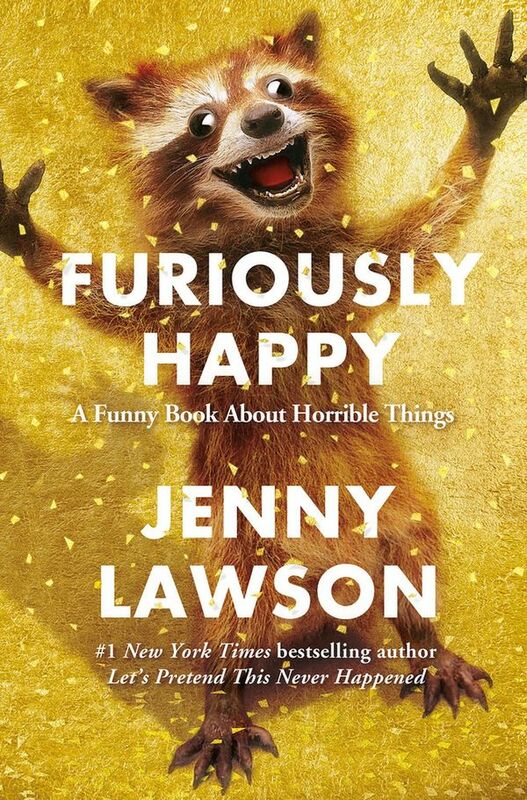 That first book shared a glimpse into her struggles, but not like Furiously Happy has done. Her stories of traveling, and how she just deals with daily life connected with me on such a deeper level, but yet I found myself trying really hard late at night not to laugh too loud as not to wake my boyfriend. She made me see that it is okay to talk about the daily struggle that is mental illness, but she is mainly focusing on the fact that we need to just grab life by the balls and allow ourselves to be furiously happy. It is hard sure, but it can be done. Even if you have never struggled with mental illness yourself, I still recommend this book to you. You will laugh, you will cry, and you will probably laugh and cry at the same time making you look like some kind of sociopath. I would also recommend that if you know someone who struggles with Mental Illness that you give them this book. It made my cloudy days a little brighter, and I know it can do the same for others. Anyone who knows me knows how I have struggled. I do not choose to have panic attacks at shopping malls, concerts, or even just when I am simply crossing the street. I don’t choose to fall into the void of depression where all of the things I love to do, Have no importance to me for a while. But I can choose to be furiously happy and damn am I trying. This book get 5 out of 5 Metal Horns from me!